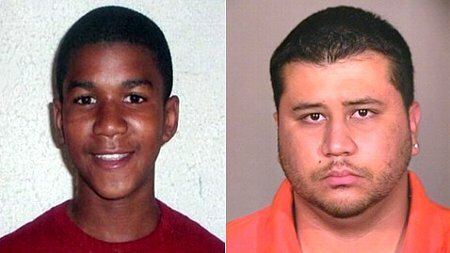 Unless they’re either hiding under rocks or Ammish, everybody in the Western World is aware that on February 26, 2012 George Zimmerman shot and killed Trayvon Martin in Sanford, Fl. The lamestream media made very sure of that because they mistakenly believed that Mr. Zimmerman was White. White-on-Black crime is news; Black-on-White or, as this turned out to be, Brown-on-Black crime isn’t worth their time to report upon. The Lamestream media loves race-baiting and loves any story that they use to stir up racial unrest. They know that the Blacks will get stirred up and cause some level of trouble, giving the media days and days of high-value stories that will spike the prices of their commercial spots. This being an presidential election year with a self-identified as Black incumbent, the Liberal media has even more incentive to turn the tragedy of Trayvon Martin’s death into a media circus. Be assured that the Liberal talking heads will be referencing this sad incident in the context of Obama’s reelection bid. It’s a sad shame that a young man died and the only reason the world knows about it is that the lamestream media decided to profiteer off of it and the civil unrest their circus could cause. This entry was posted on Friday, March 23rd, 2012 at 8:16 am and is filed under 2012 Election, Politics, Society. You can leave a response, or trackback from your own site. There is the antigun group involved, the antiselfdefense group (against the Stand Your Ground law)and the black get whitely people. Theres a whole lot of trouble comin this way and it probably has the blessings from king obama and his doj fellow travelers.If we still have our cw licenses 3 month from now Ill be pleasantly surprised. The question is: what do we do if THEY come for em????? I think the answer to that question has already been answered by history.